In Men's competition, Unlike the last two Commonwealth Games in Glasgow and Delhi where the top two teams went through from each pool, the Gold Coast Sevens event will see only the top-ranked team from each pool qualify for the finals. The top two will progress from each pool in the eight-team women's event. 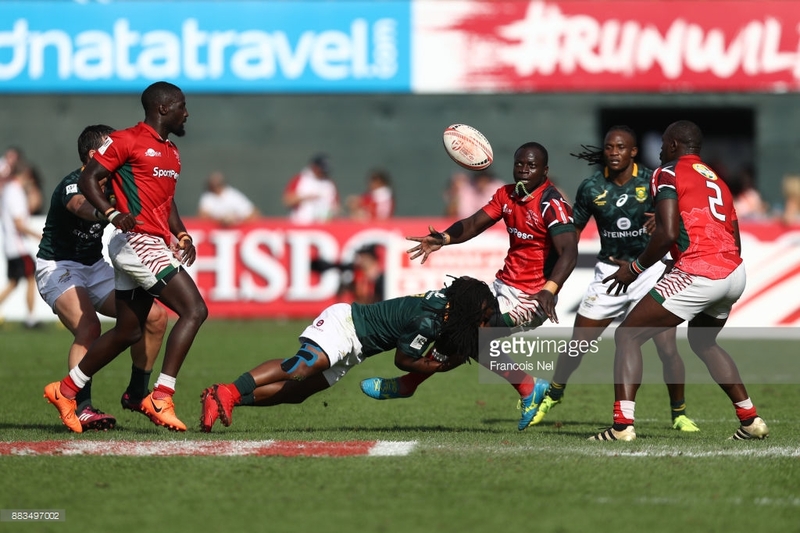 Kenya Lionesses qualified for the 2018 Commonwealth Sevens by virtue of reaching Africa Cup 7s final in September 2017. Philadelphia Olando (Captain), Sheila Chajira (Vice Captain), Grace Adhiambo, Judith Auma, Sinaida Aura, Doreen Remour, Celestine Masinde, Linet Moraa, Rachel Mbogo, Janet Owino, Janet Okello, Camila Cynthia, Stacy Awuor. Oscar Ouma, Samuel Oliech, Andrew Amonde, Willy Ambaka, Daniel Sikuta, Arthur Owira, Collins Injera, Eden Agero, Billy Odhiambo, Jeff Oluoch, Nelson Oyoo, Ian Minjire, Augustine Lugonzo.